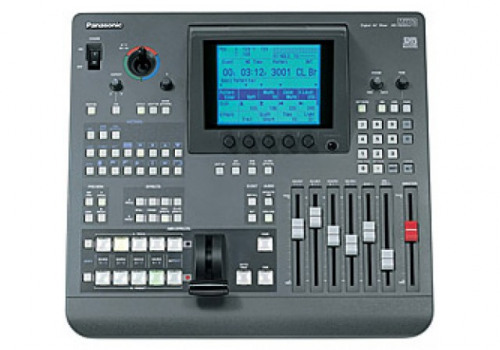 This unit is a versatile switcher with (8) inputs that function as a digital video effects generator and an audio mixer. This unit supports broadcast-grade 4:2:2:4 digital component image quality and wipe patterns accommodate both 16:9 and 4:3 image production needs. Titles and graphics created on a PC can be downloaded from MX-Navi application and superimposed for use in studio or live production programming. The (8) inputs on this unit can all be used for analog composite feeds, or may be used as (4) analog component Y/Pb/Pr or YC inputs and (4) SDI inputs (SDI functionality is optional and requires a separate board). This unit includes (4) stereo inputs, (2) auxiliary mono inputs, a microphone input, and a headphone jack. Audio can additionally be linked or unlinked to video transitions. This unit's large LCD panel, joystick controller, a numeric keypad, and (13) preset patterns that can be stored in memory all facilitate management and use of this mixer. *Y signal will be clipped at lower than pedestal level. We add hundreds of new listings every week. 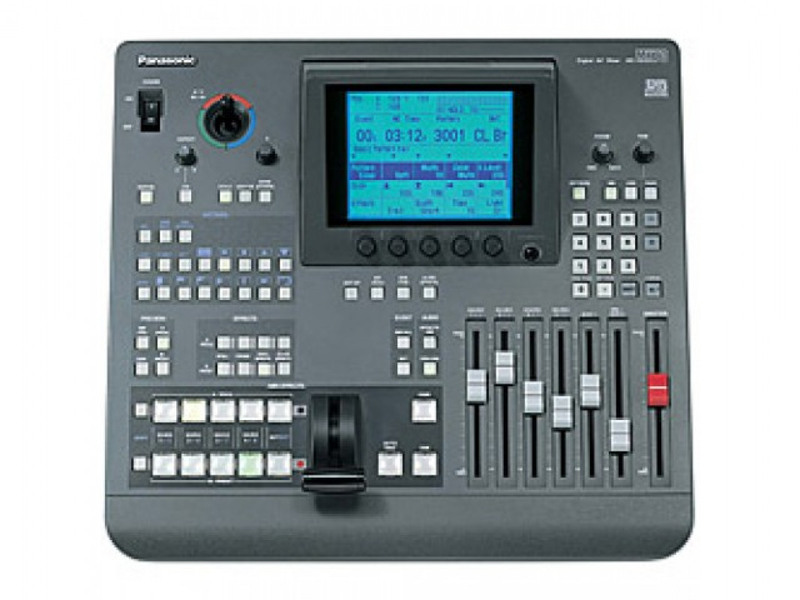 Be sure not to miss any Panasonic AG-MX70 by subscribing to our email updates.